36 portable pocket spinner revolving heavy gauge wire display for common 5" x 7" greeting cards. Model 36 GVF 50 has overlapping pockets - 3/4" deep for up to 12 cards. The perfect greeting card display. 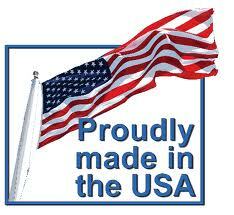 Quality Displays - Proudly Made in USA by Utility Displays! We offer volume discount which you will see in the shopping cart. If you wish to purchase over 10 items, please contact us for special pricing.